Lillian Shute stands next to Deputy Mayor Don Heim as she reads her essay about her hometown hero to those in attendance at the committee meeting. 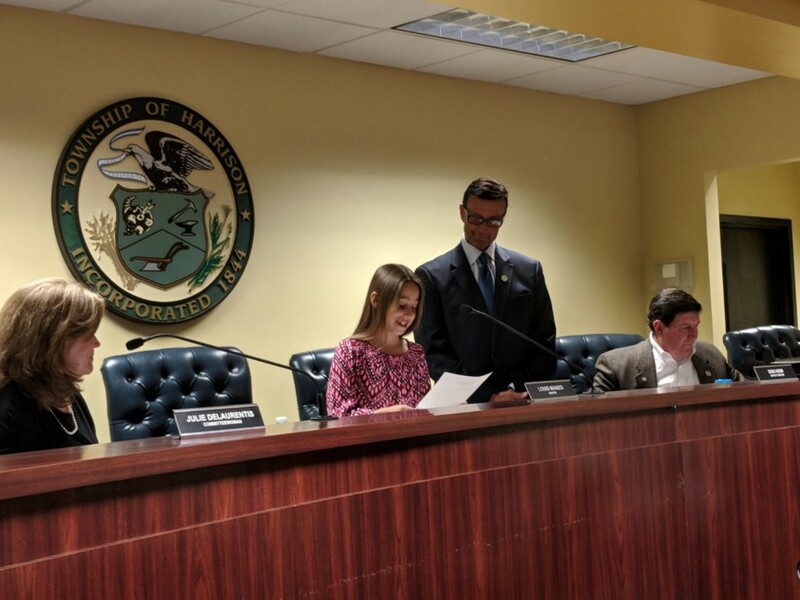 Pleasant Valley School student Lillian Shute took to the mayor’s chair at the June 4 Harrison Township committee meeting to read her essay stating who she believes is a hometown hero. 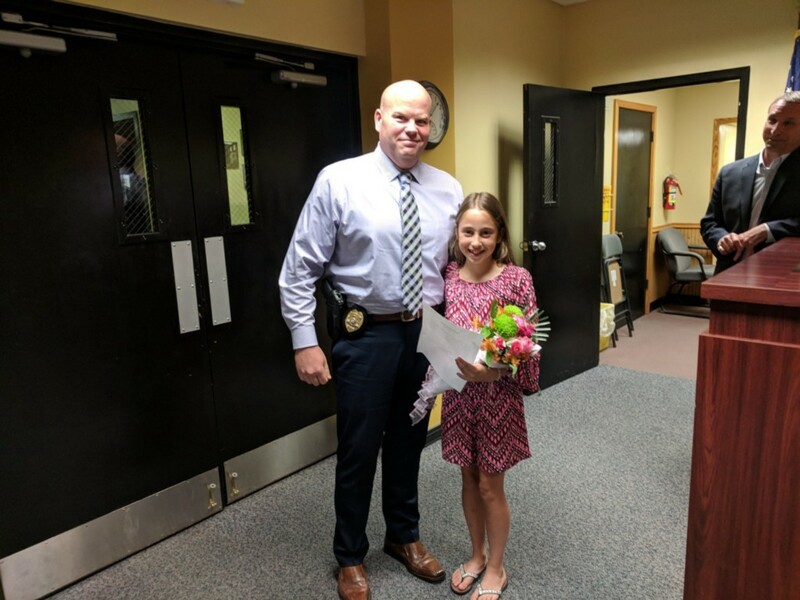 For a school assignment in conjunction with the theme of May’s Harrison Township Day — Hometown Heroes — Shute wrote about township detective, Adam McEvoy. Before a crowded room at the township building Shute read her essay, which began, “There are so many people that work hard for this township. He is the only detective responsible for investigating crimes…”. Shute mentioned how she admired the detective’s work ethic to discover the source of the threat that caused the closing of the Clearview Regional School District on March 14 and the amount of weekend hours he logs. Deputy Mayor Don Heim then read a proclamation honoring McEvoy who has been part of the Harrison Township Police Department since 2001 and a detective since 2016.